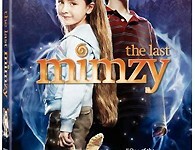 Based on the acclaimed sci-fi short story by Lewis Padgett, "The Last Mimzy" tells the story of two children who discover a mysterious box that contains some strange devices they think are toys. As the children play with these "toys," they begin to display higher and higher intelligence levels. Their teacher tells their parents that they seem to have grown beyond genius. Their parents, too, realize something extraordinary is happening. Emma, the younger of the two, tells her confused mother that one of the toys, a beat-up stuffed toy rabbit, is named Mimzy and that "she teaches me things." As Emma's mom becomes increasingly concerned, a blackout shuts down the city and the government traces the source of the power surge to Emma's family's house. Things quickly spin wildly out of their control. The children are focused on these strange objects, Mimzy, and the important mission on which they seem to have been sent. When the little girl says that Mimzy contains a most serious message from the future, a scientific scan shows that Mimzy is part extremely high level electronic, and part organic! Everyone realizes that they are involved in something incredible…but exactly what? "The Last Mimzy" features an ensemble cast that includes Timothy Hutton ("Ordinary People," "General's Daughter"), Joely Richardson ("The Patriot," "Nip/Tuck"), Rainn Wilson ("The Office"), Michael Clarke Duncan ("The Green Mile"), and newcomers Rhiannon Leigh Wryn and Chris O'Neil as the children, Emma and Noah. It is produced by Michael Phillips ("The Sting," "Close Encounters of the Third Kind") and directed by Bob Shaye (executive producer of, among other films, "The Lord of the Rings" trilogy). Shaye is also founder, Co-Chairman, and Co-CEO of New Line Cinema. "The Last Mimzy" is based on the 1943 short story "Mimsy Were the Borogoves" by Lewis Padgett (a pseudonym for Henry Kuttner and his wife, C. L. Moore); the adapted screenplay is by Bruce Joel Rubin ("Ghost," "Deep Impact") and Toby Emmerich ("Frequency"). The film's production team also includes composer Howard Shore ("The Lord of the Rings" trilogy), editor Alan Heim ("All That Jazz," "The Notebook"), and sound designer Dane Davis ("The Matrix"). Combined, the cast and production team feature six Academy Award winners. 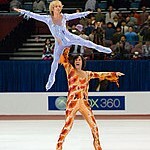 The film is scheduled for a March 23, 2007 release.